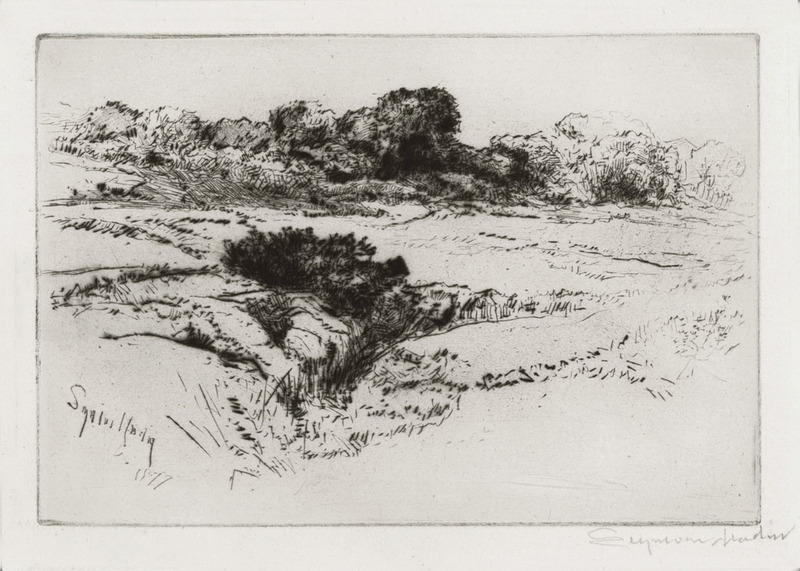 This is an original drypoint etching by French artist Berthe Morisot. It is titled: "Jeune fille au chat", it was created in 1888. This was printed from the cancelled plate. There are two small holes drilled in the plate upper and lower edges of the image. The image measures 5 7/8X4 1/2 inches. 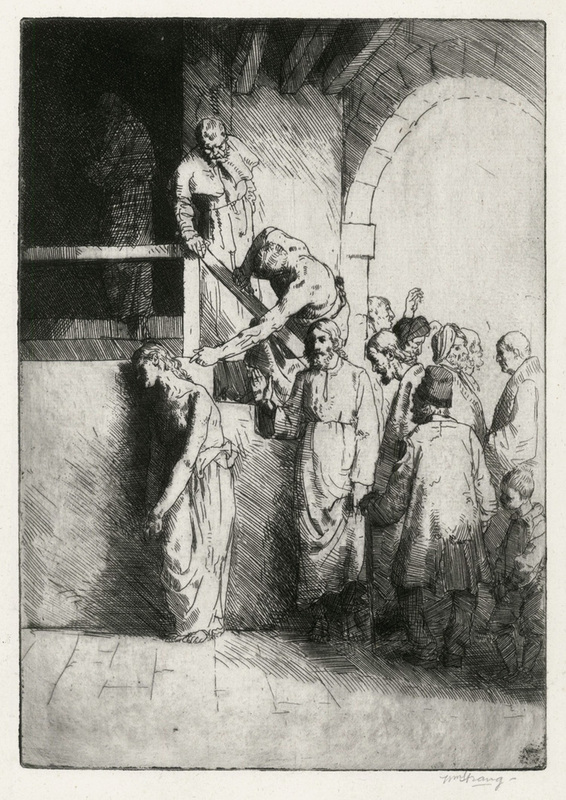 This etching is unsigned as is typical of this image. It appears in the Keller catalog as image number 88. Printed on a medium weight wove type paper. This detailed French etching measures 10 x 7 3/4 inches. Created in 1853, it is plate initialed, titled and dated. 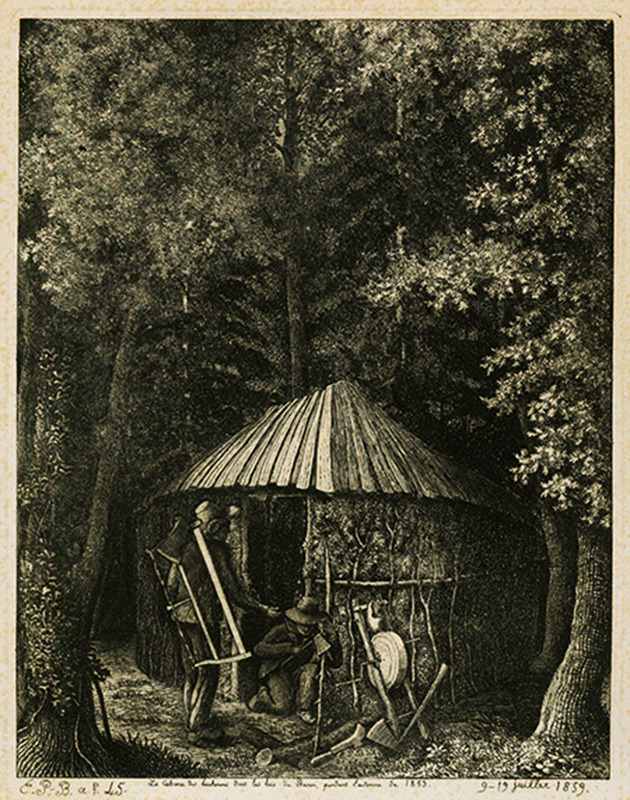 The inscription on the lower margin reads "La Cabane des bucherone, dans les bois du Buron, pendant l'automne de 1853." Etching, image size 6 7/8 x 8 1/2 inches, pencil signed. 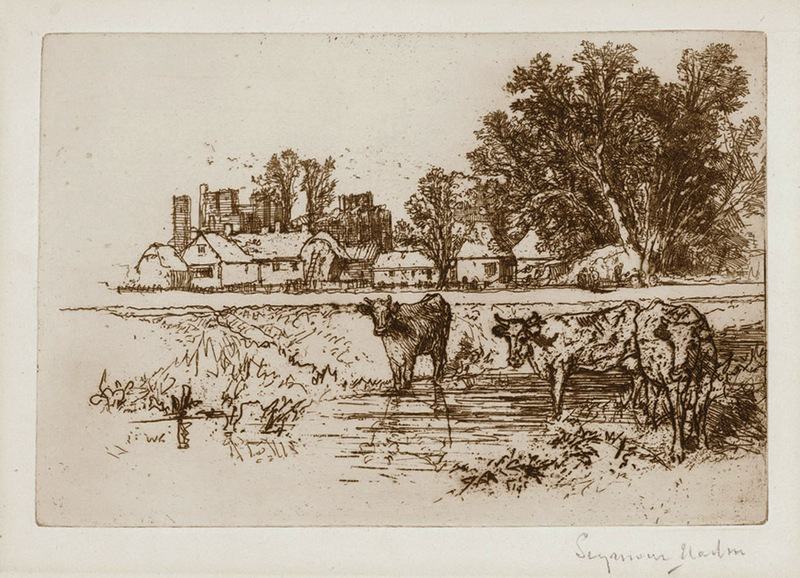 Etching by the British artist Sir Francis Seymour Haden measuring 5 7/8 x 8 7/8 inches, pencil signed, plate dated, 1877, cat: Schneiderman-155. Sir Francis Seymour Haden was one of the most important British etchers of the 19th century, along with his brother in law James Whistler. In addition to being a highly regarded artist he was a successful surgeon, accomplished author and dedicated angler. He was a founder and the first president of the Royal Society of Painter-Etchers and Engravers and was knighted in 1894. 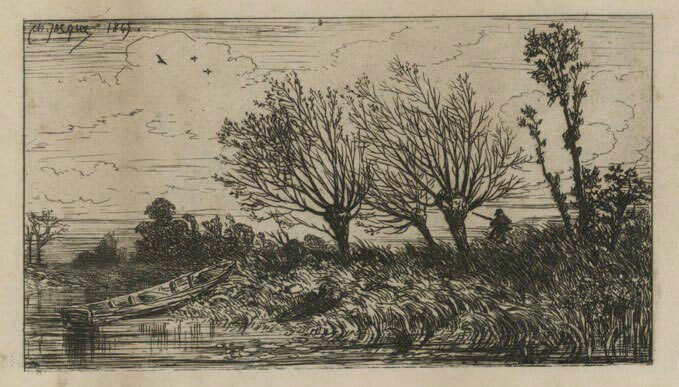 A drypoint etching from 1867. First state of three. Printed before lettering. Plate signed and dated in the upper left. Plate measures 9 1/4 x 6 1/2 inches on chine colle. A richly detailed print with ecstatic, intricate linework. 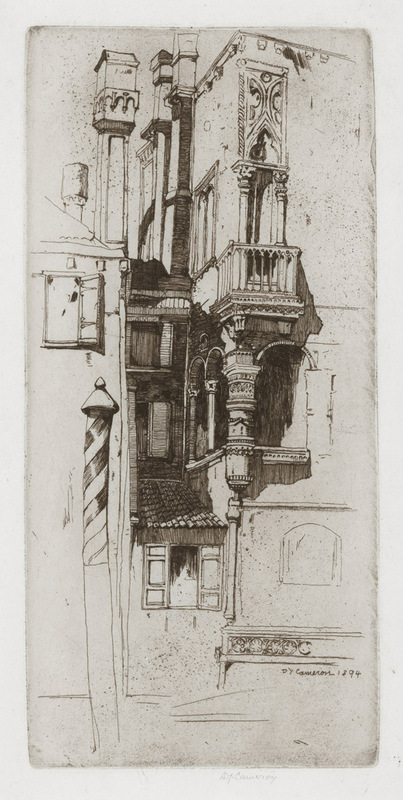 This is a great architectural etching by Scottish artist D Y Cameron, from his 'North Italian Set'. The image size is 9 3/8 x 4 inches, 1894, no. 6 in the 'North Italian Set', cat: Rinder- 209, pencil signed. According to Rinder, this is a corner of the Palazzo Camello, Fondamenta dei Mori, Venice. 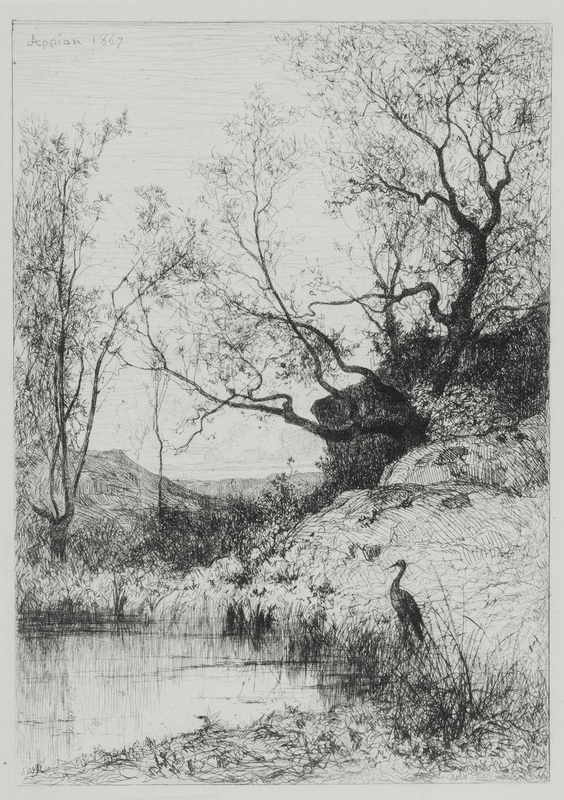 This fine atmospheric etching by Alphone Aufray de Roc 'Bhian was done in 1882 by this French landscape artist. It measures 11 7/8 x 19 inches and is plate signed and dated and pencil signed in the lower right corner. 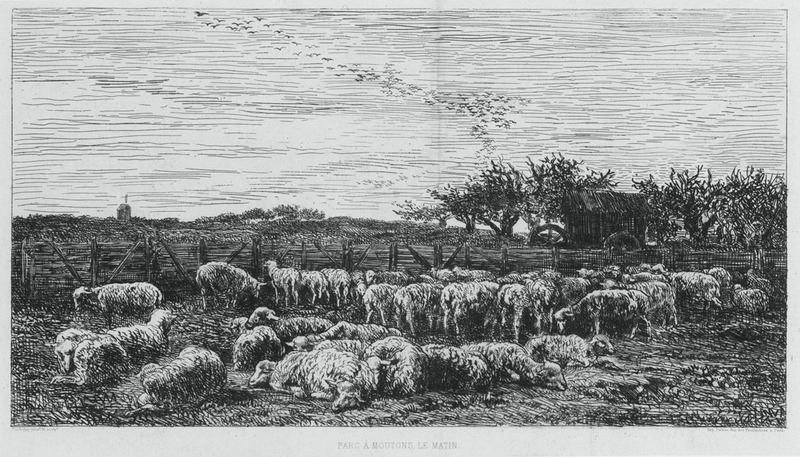 Known for his fine command of atmosphere and mood in his etched lines, Alphone Aufray de Roc 'Bhian exhibited at the Paris Salon from 1864 - 1882. 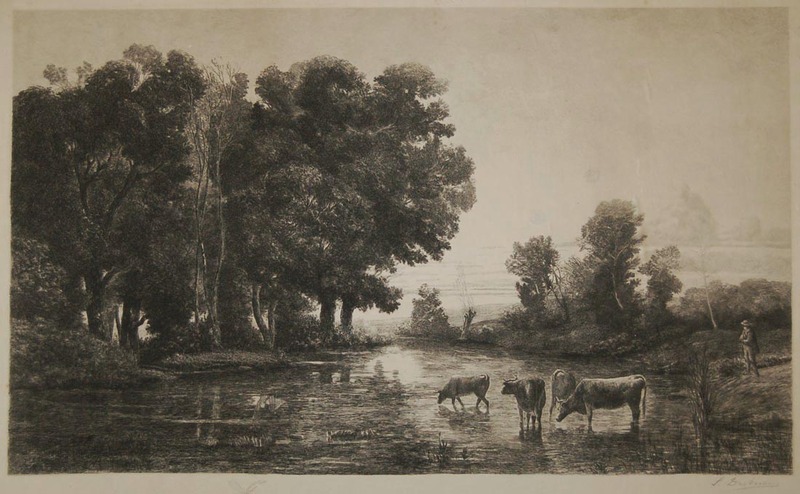 A fine etching in sepia ink by Sir Francis Seymour Haden, one of the most important British etchers of the 19th century. 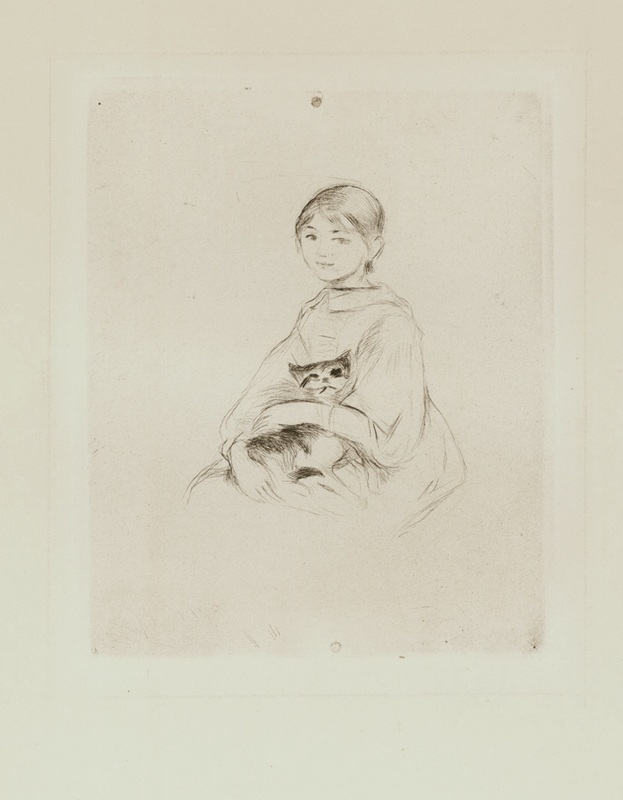 This image measures 6 x 8 7/8 inches, 1892, state III/III, cat: Schneiderman-207, pencil signed. A richly inked impression with very nice plate tone. 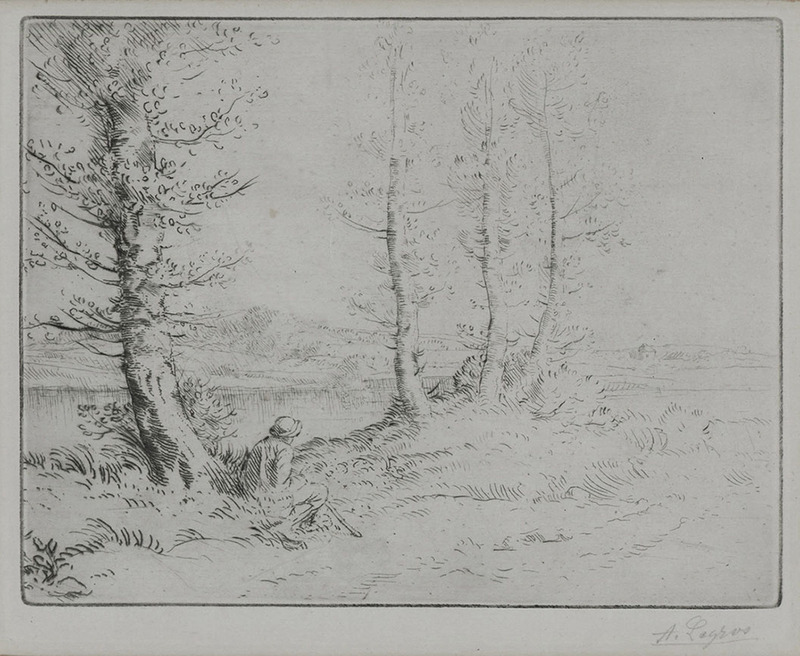 A very fine original etching, this image measures 6 x 8 3/4 inches, 1877, cat: Schneiderman-153, pencil signed. Sir Francis Seymour Haden was one of the most important British etchers of the 19th century, along with his brother in law James Whistler. In addition to being a highly regarded artist he was a successful surgeon, accomplished author and dedicated angler. He was a founder and the first president of the Royal Society of Painter-Etchers and Engravers, and was knighted in 1894. This is a very fine original etching by Scottish artist William Strang. 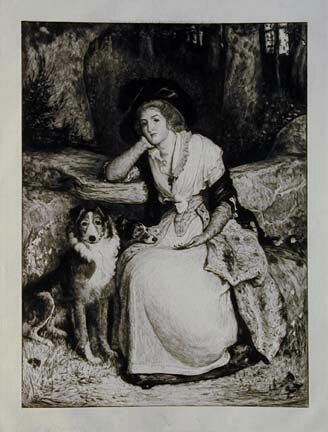 The image size is 9 7/8 x 6 7/8 inches, published in 1883 in an edition of 60, cat: University of Glasgow-35, pencil signed below the image, titled and inscribed 'first plate' in the lower margin. 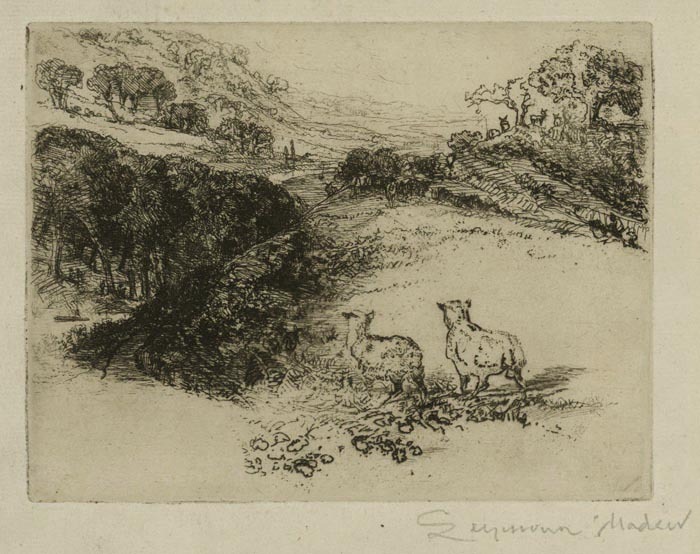 A very classically styled composition of a biblical scene, this etching features a rich impression with nice plate tone. 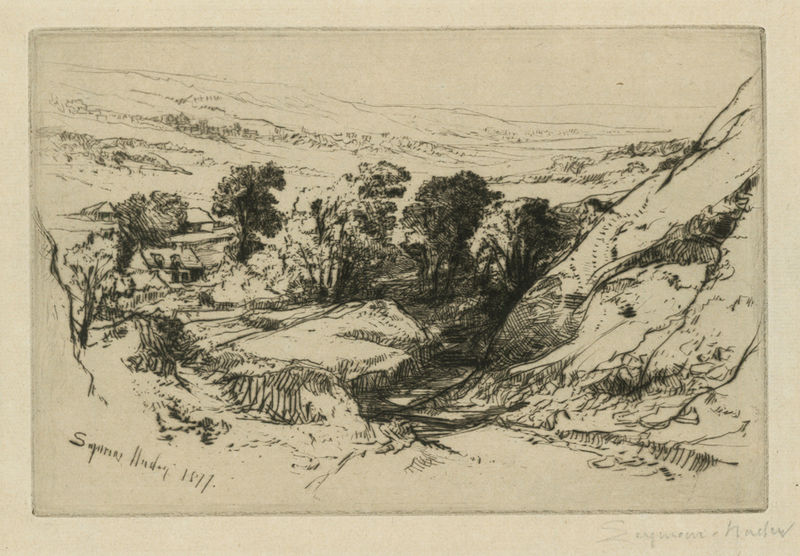 This etching by Daubigny measures 7 1/4 x 13 1/4 inches, "Daubigny pinx 8c sculp" on l.l., "PARC A MOUTONS, LE MATIN." on l.c. and "Imp. Delatre, Rue des Feuillantines; 4, Paris." on l.r., D. 95, between 2nd and 3rd state of 4, center crease.